It will be read with great sadness that Ch Hameed Ahmad s/o Ch Muhamad Salman Akhtar Sahib, died in London, UK on May 20, 2017 at the age of 41. His funeral prayer was led by Hazrat Mirza Masroor Ahmad, the Head of the worldwide Ahmadiyya community and Caliph of Islam, after Friday sermon in Baitul Futuh London on May 26, 2017. May Allah elevate his station in Heaven above, Ameen! 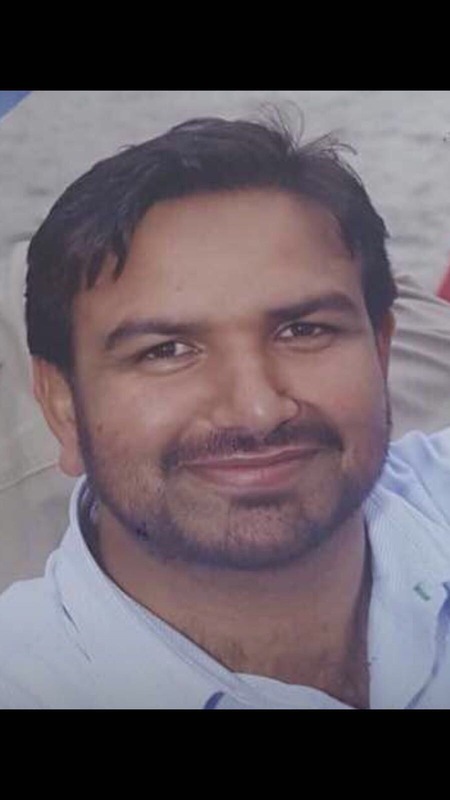 Hameed Ahmad was born in in Pakistan on June 30, 1975. He was the grandson of Ch Hidayatullah Sahib Numberdar of Chak 35 South Sargodah and great grandson of Hazrat Ch Maula Bakhash (may Allah be please with him) who accepted Ahmadiyyat at the hand of the Promised Messiah (peace be on him) in 1904 in Qadian. After matriculation he moved to Germany in 1995 along with his parents and family. In 2008 he shifted to London UK. He dearly wished to build a mosque in Wiesbaden and made special efforts to introduce Ahmadiyya community to residents of Wiesbaden. In 2007, he organized the 1st charity walk of Ahmadiyya community of Germany in Wiesbaden which has been the largest charity walk of Ahmadis in Germany thus far. His dream was materialized in 2014 when Hazrat Mirza Masroor Ahmad, the Head of the worldwide Ahmadiyya Community laid the foundation stone of Mahmood mosque in Wiesbaden. In 2007 he was the delegate to the Annual Convention of Bosnia to represent Ahmadiyya community of Germany in this Convention. He also led various delegates of Ahmadi Youth to various countries including USA, UK, and Holland. Hameed Ahmad leaves behind a young widow (Samina Hameed) and four children (Tauheed, Waleed, Labeed and Amtul Subooh) and a mourning community of numerous youth and children whom he trained through his guidance, friendship, model and sportsmanship to be what they are today and their parents who are truly grateful!